Rs. 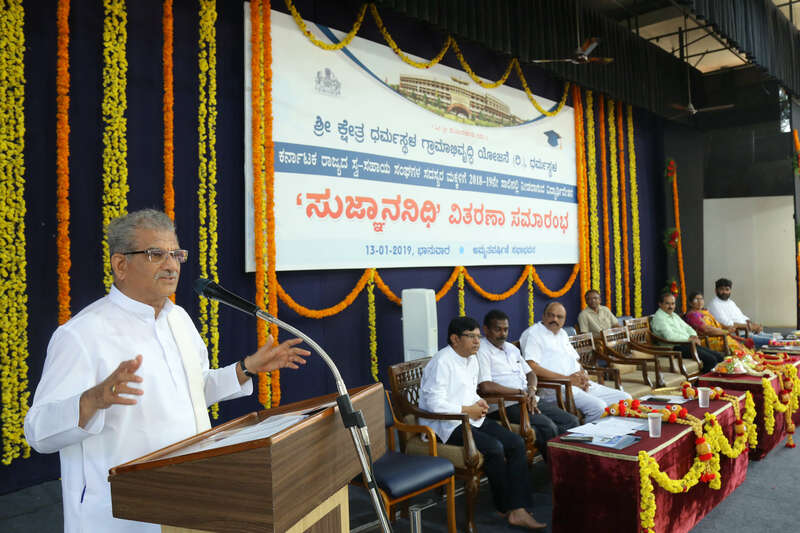 6.50 crores worth scholarships were distributed to the children of Dharmasthala Self-help committee members, facilitated by Dharmasthala Rural Development Program. 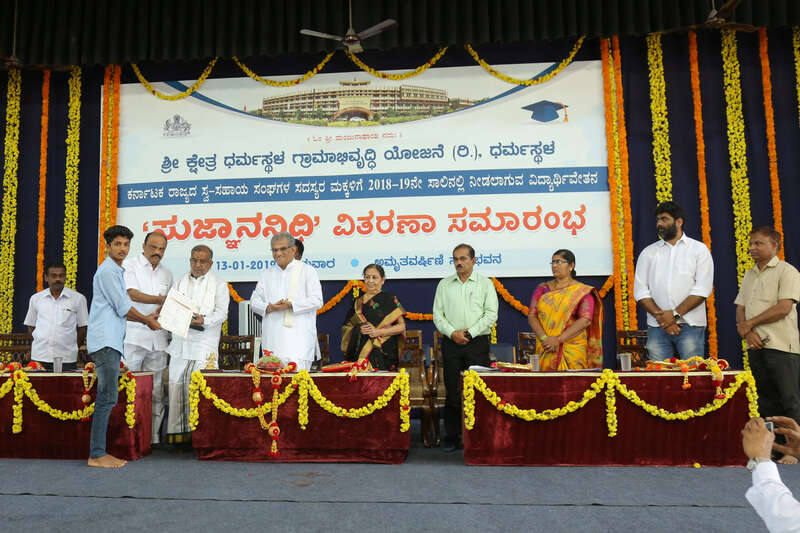 Higher Education Minister G T Devegowda distributed the scholarships to students. 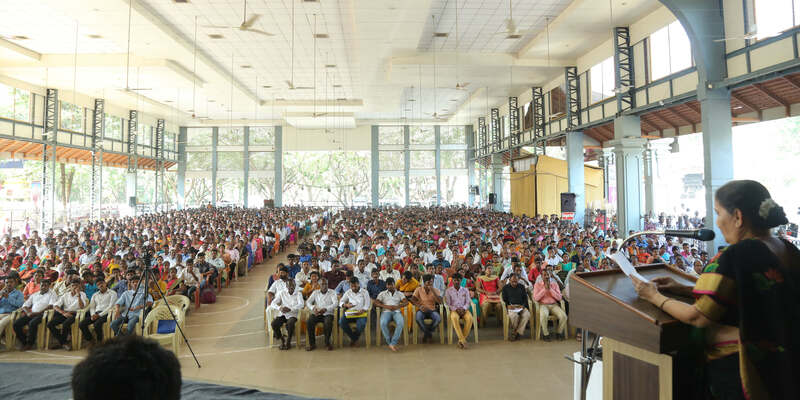 Speaking at the occasion, G T Devegowda said “Shri Kshetra Dharmasthala has actively ventured into social, economic and revolutionary developments in the fields of education, healthcare, women empowerment, upliftment of backward classes, entrepreneurship and so on since the past 4 decades.” He expressed appreciation for the rural women who are a part of these initiatives for having contributed to accumulation of Rs.1400 crores and facilitation of Rs. 8700 crores of loan from the rural development project. 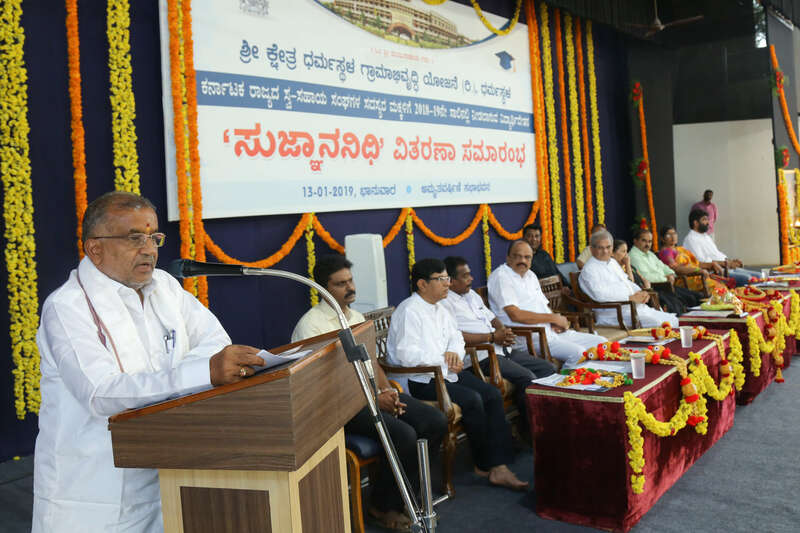 The Minister also informed the gathering at the occasion that the government has approved establishment of SDM dental college at Dharwad. 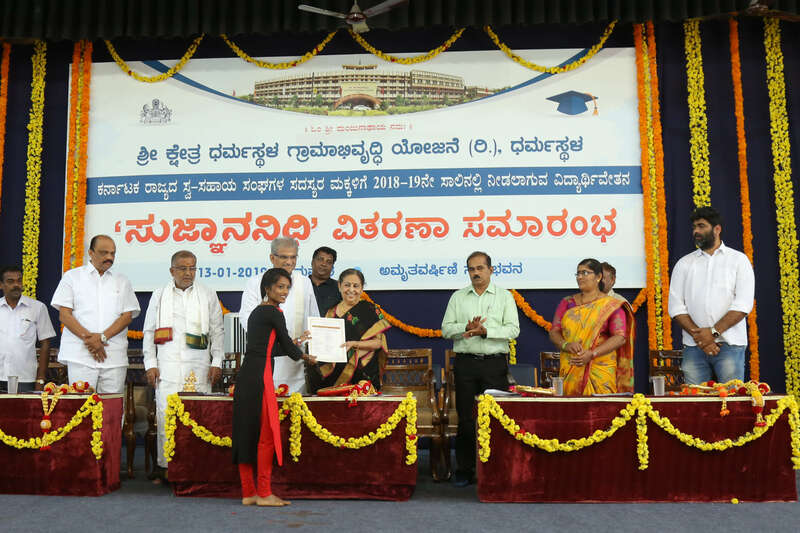 The pass book consisting details of Rs.2 lakhs contributed by students was handed over to Maatrushree Hemavathi Heggade by Vimalesh, Akshay and Shrikanth. 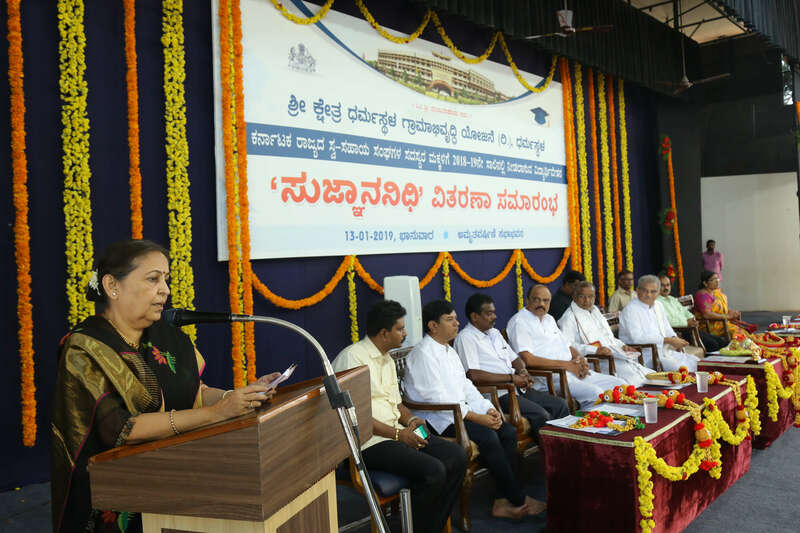 K Harish Kumar, MLC, Vijayakumar, Principal of Karnataka Polytechnic, Koragappa Naika, member of Zilla Panchayat, Dhanalakshmi Janardhan, Taluk Panchayat member and Chandan Prasad Kamath, member of Gram Panchayat Dharmasthala were present at the occasion. HL Manjunath welcomed the gathering while B Jayarama Nellittaya rendered the vote of thanks. Error: Error validating access token: Session has expired on Monday, 25-Mar-19 00:53:02 PDT. The current time is Friday, 19-Apr-19 17:47:48 PDT.